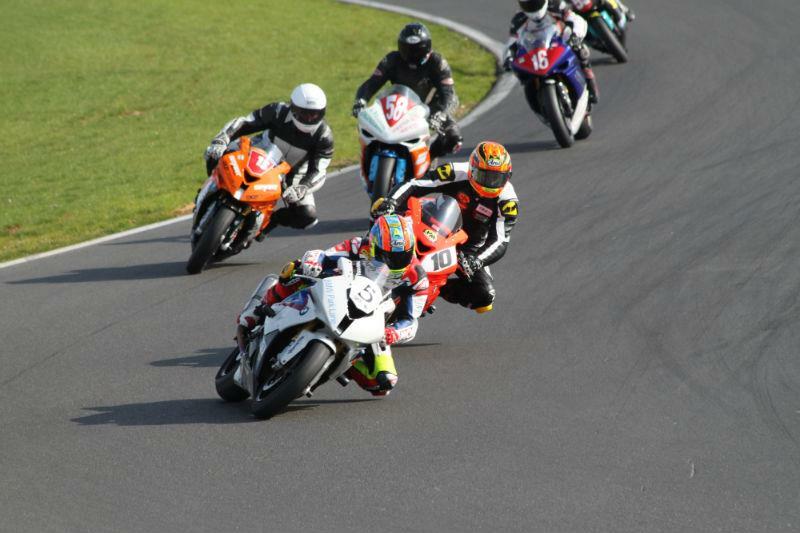 Rob McNealy won the MRO Powerbike championship in the final round at Brands Hatch, after he and Michael Neeves went into the last race level on points. McNealy arrived at Brands Hatch with a slender one point advantage over Neeves, which he extended to five after Saturday's race. 2010 champion Peter Baker took the race win from McNealy, while Neeves was only third. However, after two races the points were all square with just one to go, with Neeves snatching the win on the last lap in Sunday's opener. Baker had stormed to an early lead before he crashed out spectacularly at Paddock Hill on lap eight. In the end the championship was decided by just five points and four hundredths of a second, as McNealy and Neeves drag raced to the line on the last lap. Neeves had been lapping quicker, but ran wide at Graham Hill bend, trying to force his way into the lead. He regrouped, and was back on McNealy's tail, but McNealy held on to be crowned champion.